On the northwestern shore of Michigan’s Lower Peninsula, in Leelanau and Benzie Counties, lies the Sleeping Bear Dunes National Lakeshore. The Sleeping Bear is an area unlike any other, over 50,000 acres along Lake Michigan replete with hills and forests of birch, pine, beech and maple. The Lakeshore encompasses numerous small lakes and rivers (perfect for fishing), sugar sand beaches and, of course, the massive coastal sand dunes and bluffs. Offshore in Lake Michigan lie the North and South Manitou Islands, the areas of first Leelanau County settlement and wholly a part of the Lakeshore. In addition to its natural beauty, the Lakeshore boasts a rich cultural heritage, and structures and other parts of the heritage of Indians, lumberman, merchant sailors, farmers remain to be discovered. Glen Haven and the Manitou Islands were once busy communities supplying lumber for construction and fuel for wood-burning ships that sailed the Great Lakes in the mid and late 1800s. Ruins of sawmills and fueling docks can still be seen. Crop farming followed the cutting of the forests but it, like lumbering, soon faded. Many farmers abandoned their fields and orchards, but many fruit trees and berries still grow in the park. 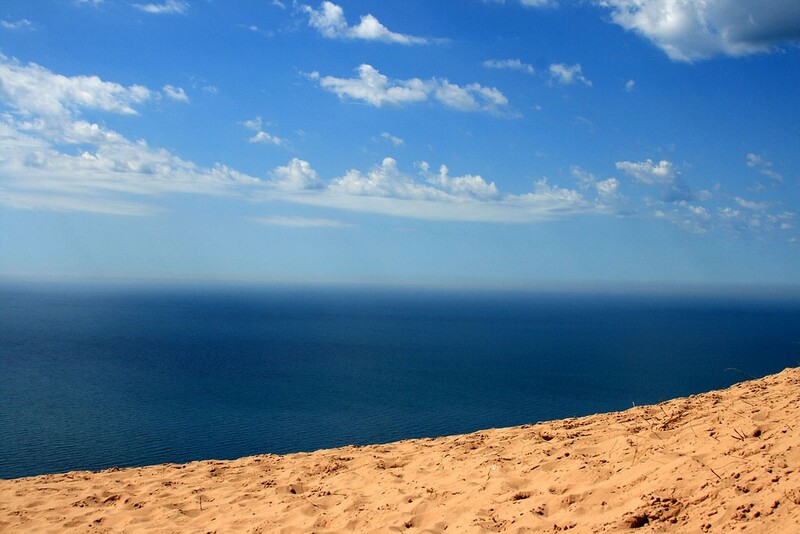 For more historical information, visit the Sleeping Bear Dunes History Pages.